Wing Eyecare Acquires 2 New Locations! On October 1st, Wing Eyecare officially acquired two more practices bringing their total to 18 offices in greater Cincinnati and northern Kentucky. Both practices were owned by Dr. Jack Bridge in Oxford and Fairfield, OH. Dr. Bridge will continue to see patients in both locations. 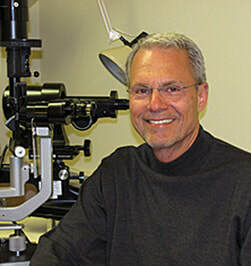 Starting in 1973, the board-certified optometrist and opticians have offered the highest standards of quality and individualized attention in a relaxed, professional atmosphere. Both locations offer a full range of options to meet your eye care needs from glasses, contact lens fittings and routine eye tests, to advance glaucoma treatment and dry eye procedures. They’ll continue to stock a large selection of contact lenses as well as fashionable frames – including Oakley – that are sure to suit your eye wear needs. Dr. Bridge will be able to continue to provide the treatment that is right for you. You can expect all the same personalized service you’d expect from this practice with all the efficiencies and conveniences of the Wing Eyecare organization.